Contrary to popular belief, you can actually play AAA games on a Mac. It all started a few years ago when Apple’s machine started to get more gamer-friendly. Big game studios, along with indie devs are tackling gaming on the Mac like never before. There are so many games available for the Mac that it’s impossible to play them all – words that you couldn’t have uttered five years ago. We rounded up the very best games for Mac, you only need time to play them all. Scroll down below to take a look at what RPG, Racing, Strategy, Action, Adventure, Casual and Puzzle games you can immerse yourself on your Mac. Required System Specifications – OS X Leopard 10.5.8, Snow Leopard 10.6.3 or later; 2.5GHz processor paired with 1 GB of RAM. The Binding of Isaac is an indie game developed by Edmund McMillen and Florian Himsl. It can be found on the Steam Store. The Binding of Isaac tells the tale of a twisted and borderline schizoid woman who is obsessed with the Bible. She plans on murdering her young child just because the angelic, or demonic, voices in her head told her to. It’s the perfect 5-minute break because that’s how long it will take until you are dead. At least, in the first few hours of your journey to the belly of the beast. It blends exceptionally well rogue-like elements with those found in role-playing games. Finding loot is inevitable, so is dying. Required System Specifications – OS X 10.6.2; You’ll need an Intel Core 2 Duo with a 256 MB VRAM GPU. Dragon Age II is developed by Electronic Arts and it can be found on the Origin Store. As the first iteration of the Dragon Age franchise, Dragon Age II is set in the high-fantasy world of Thedas. Yet, it introduces a whole new crew of characters as well as a new adventure for the main hero. Going by the name of Hawke, you need to rise from mediocrity, being literally unknown, to the status of a great and courageous champion. Religiously-driven and politically-aimed, along with your run of the mill fantasy elements are its main themes. If you’ve played the original Dragon Age, you’ll notice that the sequel lacks the good versus evil storyline. However, every aspect of the game has been vastly improved – from fighting mechanics and storytelling to even more spectacular graphics. Required System Specifications – OS X 10.5.8; You’ll need an Intel Core 2 Duo with a 256 MB VRAM GPU. World of Warcraft is developed by Blizzard and it can be found on its official Battle.net website. It may not be for everyone. Its cartoonish style is definitely a deal-breaker for the majority of pen and paper RPG fans. Yet, you can’t make a Best RPG Games for Mac list without adding World of Warcraft. World of Warcraft is a classic massively multiplayer online game with between seven and eight million monthly subscribers. All of them playing the role of priests, rogues, wizards, shamans, paladins and other classes. Its massive success lies in the fact that it’s super easy to get into, but a challenge to master. You’ll be immersed in WoW’s beautiful lore which evolves with every new, and regular, expansion pack. Take the 2010 Cataclysm expansion – it literally redesigned Azeroth and Kalimdor. It destroyed and changed several old areas and it also introduced new locations for users to explore. Required System Specifications – OS X 10.7.5 or later. The Witcher 2: Assassins of Kings is developed by CD Projekt Red and it’s available on the official Mac App Store or on EA’s Origin Store. Unfortunately, The Witcher 3: Wild Hunt isn’t available on Mac OS X. Yet, Assassins of Kings is. It’s one of the best games for Mac which I had the pleasure of playing. It’s the sequel to the 2007 Witcher title. Both games follow the story written by Polish author Andrzej Sapkowksi in his fantasy novels. It tells the story of Geralt of Rivia and his adventures. Geralt is a witcher who travels across the kingdom of Temeria. He slays monsters if you pay him enough. More often than not, he’s a moody and grouchy SOB. A sort of anti-hero – charismatic and likable. 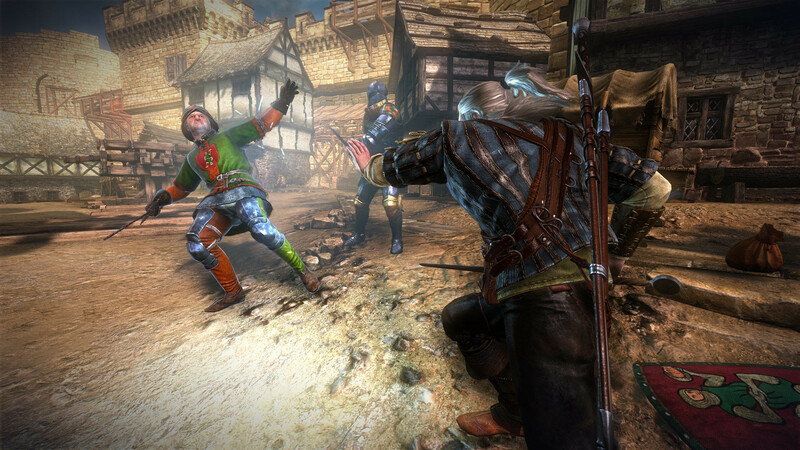 Rich with scrumptious lore, The Witcher doesn’t shy away from adult-themed quests. Combat mechanics are complex, and it requires time to fully master dismembering creatures of the night. However, it doesn’t have a variety of classes. Required System Specifications – OS X 10.7. Intel i5 Processor, nVidia GT 650M or a Radeon HD 5770 GPU. The Elder Scrolls Online is developed by ZeniMax Online Studios and it can be found at any major retailer, including the game’s official website. This is the first time an Elder Scrolls game has been released for the Mac. It simultaneously launched on both PC and Mac in April of 2014. ESO tells the story of Molag Bal, a demon prince who attempts to invade Tamriel. But that’s just the main story. As with all MMORPGs, ESO’s side-quests make the game enjoyable, slaying monsters and gathering as much exotic and top-notch loot as you possibly can. There are three factions to choose from: Aldmeri Dominion, Ebonheart Pact and Daggerfall Covenant. This adds an exciting PVP combat element and spices up the day-in-day-out side-quest routine. 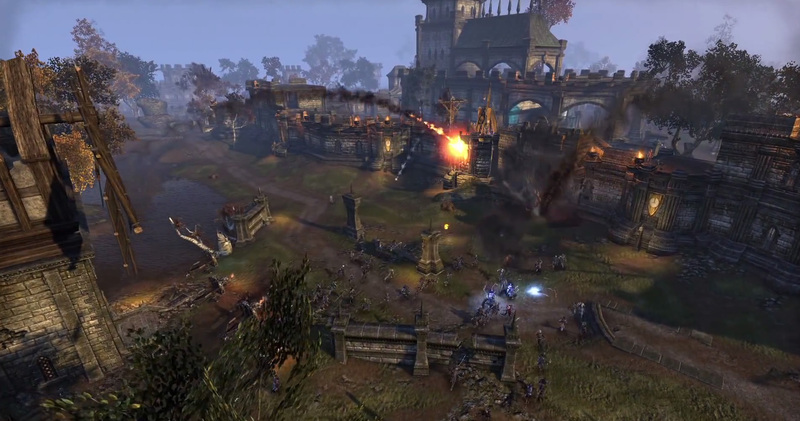 ESO does a really great job creating the ambiance and atmosphere of turmoil and war. Unlike WoW, ESO isn’t a subscription-based MMORPG. Meaning you just have to buy a copy of the game once and you can play as long as your heart desires. Required System Specifications – OS X 10.6.7. 2GHz Intel processor. GPU with 128 MB VRAM. Colin McRae: DiRT 2 is developed by Feral. It can be bought on Steam. DiRT 2 is one of the best racing games for Mac. Eye-candy? Check! Superb driving mechanics? Double check! Responsive and high-speed racing? Triple check! It even has a story mode for the gamer that missed his shot at being a professional racer. You’ll start out as a rookie and advance through well-thought gauntlet-like events – leading to the X Games pro-only showdown. There are about 35 different cars which you can choose from. They are highly customizable, and to be frank, modifying your vehicle is a must if you want to advance in your virtual career. Different types of events require different types of vehicle improvements, and also the skill. If you’re a master in rally cross races, you may be inhaling dust in trailblazer. It takes the driver from the jungles of Malaysia to the Utah desert and back. It even has an online counterpart. Required System Specifications – OS X 10.6.8. Intel Processor, 128 MB VRAM GPU. FlatOut 2 is developed by Virtual Programming. It can be bought on the official Mac App Store. One of the best arcade racing games for Mac, FlatOut 2 has aged really well. It takes inspiration from Carmaggedon, but it doesn’t stick to just smashing into innocent bystanders. You just drive like a coke-addict and drive straight into your fellow competitors. A championship mode is set in place and you can choose from 34 different cars. You will race through a variety of beautiful landscapes, taking you from the lush Rocky Mountain forests to Los Angeles storm drains. The multiplayer mode lets the gamer partake in a series of mini-games. Other game modes include Destruction Derby Arenas where you can just let all your anger loose. Required System Specifications – OS X 10.4. Intel processor. 128 MB VRAM GPU. Age of Empires III is developed by Microsoft and Destineer. It can be bought from Amazon. However, I recommend you take a look at other major game retailers. As of the moment of writing this article, Amazon currently lists Age of Empires III at a retail price of over $100 – used. Age of Empires I and II were critically acclaimed video games. The third sequel, while offering a great setting, game mechanics, story and musical score, didn’t receive that much praise. Regardless of what critics think of it, and more importantly, the game’s age, Age of Empire III is one of the best strategy games for Mac. AoE III is set during Europe’s colonial era and it lets you take control of Britain, France, Spain, Denmark, Russia, Germany, Turkey, and Portugal. You can either follow AoE’s campaign storyline or jump right into its Skirmish mode for some mindless fun. Required System Specifications – OS X 10.6.8. Sid Meier’s Civilization V is developed by Aspyr Media. The iconic turn-based strategy game is one of the best games for Mac to ever launch on Apple’s machine. You take the reins of an empire and you can either choose to start from an archaic age where people were on the brink of discovering how agriculture can benefit them or from more advanced periods of time – such as discovering gunpowder or why not, the internet. Combat is somewhat chess-like, but it doesn’t get stuck into just one pattern. Creativity is key if you want to win, military speaking. If spilling blood is not your cup of tea, then you can choose the way of diplomacy. If you aren’t able to gather enough support from your peers, then why not be the most popular player on the map and win the game via a Culture Victory. Yet, the one which I found by far the most enjoyable, is the scientific method of winning. The one that gets off the planet first will rule the world. You build up an entire civilization and you micro-manage your cities, which will eventually lead to a ginormous empire that spans across three continents. But be warned, Mahatma Gandhi isn’t what he seems to be. Don’t trust that nuke-lover. Required System Specifications – OS X 10.5.8. Intel Core 2 Duo, 256 MB VRAM GPU. Starcraft II is developed by Blizzard. You can buy it on the official Battle.net website. Starcraft II follows the story of Jim Raynor, who leads the human army against the alien menace known as Zerg and Protoss. However, the Zerg want to destroy the whole universe, ending human life as we know it. The Protoss and Terran factions unite themselves against a common foe. To go deeper into Starcraft lore would mean to write an actual book. And I’m not going to do that. Instead, I’m going to let you experience the wonderful science-fiction world all by yourself. Starcraft is one of the best games for Mac. It offers countless hours of fun and pure enjoyment. Its multiplayer counterpart is deemed as one of the best gaming experiences one could have. Even though sometimes it can feel really unbalanced. Required System Specifications – OS X 10.7. 2GHz Intel processor. 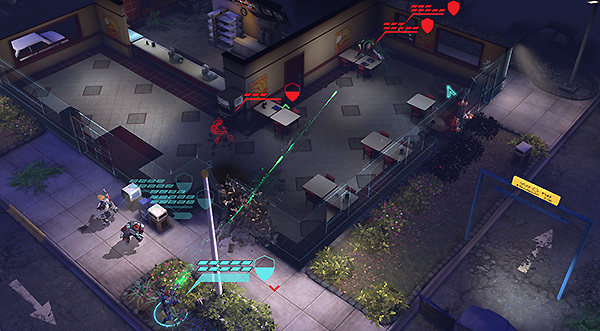 XCOM: Enemy Unknown is developed by Feral Interactive. You can download the game from the official Mac App Store. When XCOM was first released way back in the 90s, it went from downright obscurity to major hit overnight. 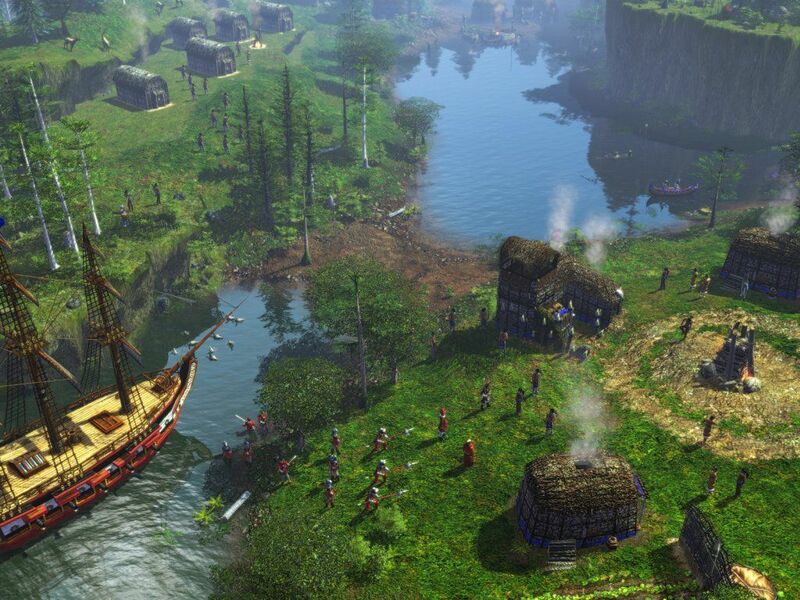 One of the best strategy games for Mac received a highly-anticipated 3D polish in 2012. You are in charge of the planet’s extraterrestrial combat unit, hence XCOM, and you need to drive away those annoying alien invasions. Combat is unique, well, it was unique when it first appeared in the 90s. You are in control of a squad comprised of four soldiers, which later will grow to hold six other members. You can’t treat anyone as a damage-sponge because you rely on all of them. Employ your tactics carefully, hide behind walls and other objects so you won’t receive unnecessary damage. Your surviving squad members can be promoted after each mission. This means new abilities and weapons. Required System Specifications – OS X 10.6.4. Bioshock is developed by Feral Interactive. You can download it from the official Mac App Store. Dubbed one of the best computer games for Mac, Bioshock isn’t your run of the mill first person shooter. With an exceptional setting, ground-breaking story-line and exquisite soundtrack, Bioshock shocked and awed gamers across the world. Fortunately for us, it strays away from the status quo comprised of mindless trigger-happy video-game mechanics. Bioshock is set in an underwater city where a twisted and demented society fights for power. Would you kindly play Bioshock? Required System Specifications – OS X 10.6.x. You need 1 GB of RAM. Hotline Miami is developed by Dennaton Games. You can download Hotline Miami on Steam. Hotline Miami is one of the best computer games for Mac solely because of its surreal setting. It’s unique in every way possible. It’s a top-down video-game filled with ultra-violence and synth-infused music. Basically, you are a hitman of sorts. Men wearing animal masks usually call you up to do their, um, cleaning for them. Hotline Miami is filled with over-the-top slaughter and a ton of laughing – mostly because you’ll be dead in the most horrific and stupid ways you can imagine. With that said, expect to die a lot. Required System Specifications – OS X 10.10.3. You need 8 GBs of RAM. An Intel 2.4GHz processor and a GPU with 1 GB on it. Frankly, I was kinda shocked when I first heard that Middle Earth: Shadow of Mordor will be released on Mac as well. It’s one of the biggest Mac games to come to Apple’s machine. The game is just ginormous with an install of 52 gigs. It requires a pretty powerful Mac machine to run it – think of something along the lines of Yosemite 10.10.3. Shadow of Mordor is one of the best games for Mac I have ever played – regardless if you are a Lord of the Rings fan or not. Combat is fantastic, and it takes inspiration from hand-to-hand combat games such as Batman: Arkham Asylum and Ubisoft’s Assassin’s Creed. It delves deeper into AC to take its parkour and free running elements and it combines all of them in a superb setting filled with gorgeous scenery and awesome storytelling. Combat is just crunchy, and it’s more than satisfying to pummel Uruk, which is a breed of mega-orcs. It also features RPG elements by adding a skill tree. However, there aren’t classes involved and you’ll most likely unlock all the abilities before reaching the final phase of the game. Batman: Arkham City is developed by Feral Interactive. You can download it from the official Mac App Store. In good conscious I can’t ignore Batman: Arkham City – it’s honestly one of the best games for Mac that you will ever play. The first iteration, Batman: Arkham Asylum, which I also highly recommend, confined the player into the mental asylum island. It resembled a sort-of claustrophobic, but enjoyable, gaming experience. However, this time around, Arkham City is just amazing. Combat has been improved and your punching and kicking, gadget-wielding flow is just smooth as butter. Bruce Man, ow, Bat Wayne, damn it, our beloved caped crusader has to go deep into Gotham City’s prison-like section. It was walled off turning it into a humongous and open prison. Filled with buildings that resemble a Gothic Americana architecture style, and comprised of beautiful story-telling, it would be just a shame to not at least try it out. I for one think it’s a must-have Mac video-game. More so if you’re into action-adventure games. Required System Specifications – OS X 10.6. You’ll need a 2.3GHz Intel proc. However, Core2Duo is recommended. 4 gigs of RAM and a GPU with at least 512 MB. The Walking Dead Season 1 is developed by TellTaleGames. You can download one of the best games for Mac off of Steam. I’m not kidding. It’s actually one of the best computer games for Mac to ever see the light of day. You could be fooled into thinking it’s an action game, but The Walking Dead isn’t just about popping zombies left and right. It’s more about how deep you can immerse yourself in the story, and how much emotionally invested with the characters you find yourself to be at the end of the game. It’s a zombie story set in the reality of all things. With the help of well placed quick-time events, you can take a sneak peek at the sober struggle and anguish of what could really happen if zombies were to rise from their coffins. Required System Specifications – OS X 10.6. 2 gigs of RAM, and a GPU with at least 512 MB VRAM. This War of Mine is developed by 11 Bit Studios. You can buy it on iTunes or Steam. It’s not a game that revolves around your usual pow-pow you’re dead game mechanics. In fact, you will have little to none weapons to fend off invaders or other mischievous bastards. This War of Mine sets up the player within the avatar of a war survivor during a full-blown conflict. You need to quickly assess what resources you have and what you need to survive. It’s thought-provoking to say the least. It delves deep into how an individual tries to survive the endless scatter for basic human resources and the emotional toll it takes on someone who is cut off from his loved ones. Will you steal food from somebody weaker in order to survive? Are you capable of killing a child just so you get his resources? Do you have what it takes to make sacrifices for the greater good of the group? Don’t expect to win, because it’s not about winning. Required System Specifications – OS X 10.7.5. 2 gigs of RAM. The Banner Saga is developed by Stoic. You can download it from the Steam Store. It clearly takes inspiration from Oregon Trail and XCOM, but this time around with hefty Vikings and mythical monsters. You are tasked to lead a caravan of survivors across a dying plateau. While searching for supplies, you battle foes in a turn-based combat style. Yet, it’s highly deceptive. Breath-taking graphics and a haunting score encompasses the Banner Saga experience. The plot is quite interesting, and you’ll quickly fall in love with your crew’s backstory and life. When one of them dies, it will hurt – mainly because you lose a crucial member of your army. Required System Specifications – OS X 10.6.7. 2 gigs of RAM. Intel Core2Duo proc with 2GHz or better. nVidia 8600 M or Ati Radeon 2400 or higher. It also works with an Intel HD Graphics 3000 GPU. Dear Esther is developed by TheChineseRoom. You can download it from their official site and also Steam. Dear Esther is unique. Talking about its gameplay just doesn’t feel that right. Mainly because you don’t have any game mechanics except opening doors and running. Yet, without wielding any crowbars or shotguns, Dear Esther offers a beautiful experience based solely on exploration and discovery. Little fragments of a story are exceptionally narrated and its piano-infused score will melt your heart away. Dear Esther is an FPE – first-person environment game. Take your time and let the game unravel itself naturally. Finding tiny story fragments is more than satisfying. Minecraft is developed by Mojang. You can download Minecraft for Mac on their official website. Arguably, Minecraft is one of the best games for Mac. I was a little bit torn if I should place it in the casual Mac games category or the adventure one. Saying that it’s a highly enjoyable game would not do it justice. Minecraft is a sandbox game where the only limit to what you can build depends on your creativity. There have been gamers that opted to build a perfect replica of Lord of the Rings’ Minas Tirith. Other re-created Burj Al Arab, New York, beautiful lush valleys filled with lava and the list can go on and on. Minecraft was just officially announced to appear on Facebook’s Oculus Rift. It has become a worldwide phenomenon. Required System Specifications – OS X Lion. Intel Core2Duo 2.4GHz proc. 4 gigs of RAM. nVidia GeForce 320M. The Sims 4 is developed by Maxis. It can be bought on the official EA Origin Store. The Sims 4 is basically a build-your-own-virtual-life where you can fine-tune how your character looks, what he likes, and what is his life’s goal. Be careful though, you need to take care of your avatar like it were a real human being. Your sim will get hungry, he’ll get sleepy and stinky, he’ll want to socialize with other people, make friends, get a job – yup, exactly like you. The really awesome thing about The Sims 4 is that you can build the house where your avatar will live in. Buy the lot and start raising walls. Decorate it as your heart desires. For your interest, a house comprised only of toilets won’t do – been there, done that. Required System Specifications – OS X Snow Leopard 10.6.3. 1 gig of RAM. GPU with 256 MB. Limbo is developed by Playdead. You can download Limbo for Mac on the official Mac App Store. Limbo is creepy but in the best way possible. It’s A 2D puzzle platformer that lets you play as a young child who got himself lost in the forest. The ambiance will blow you away, level design is one of the best I have ever seen and game mechanics are just fun. A beautiful mourning, Limbo relinquishes in the fact that everyone is going to die, sooner or later. In your playthrough, you’ll die more often than not, whether because you’ll clumsily fall into a spike trap or a huge boulder will blow your brains out. You can turn gore off if you’re not in the mood to see dismembered body parts or black liquid that resembles blood. Required System Specifications – OS X 10.6.6. Machinarium is developed by Amanita Design. You can download Machinarium for Mac on the official Mac App Store. One of the best games for Mac – scrumptious and gleefully fun. Machinarium is an old-timer, and it sticks to its roots of point-and-click puzzle adventures. You’re in charge of a cute petite robot that needs to find his way back home. Meanwhile, he has to rescue his girlfriend and put a stop to the neighborhood gang of robots that plan on setting off a huge bomb. If you love steampunk, then you’ll love Machinarium. Required System Specifications – OS X 10.5.7. Intel CoreDuo proc. GPU with 128 MB VRAM. 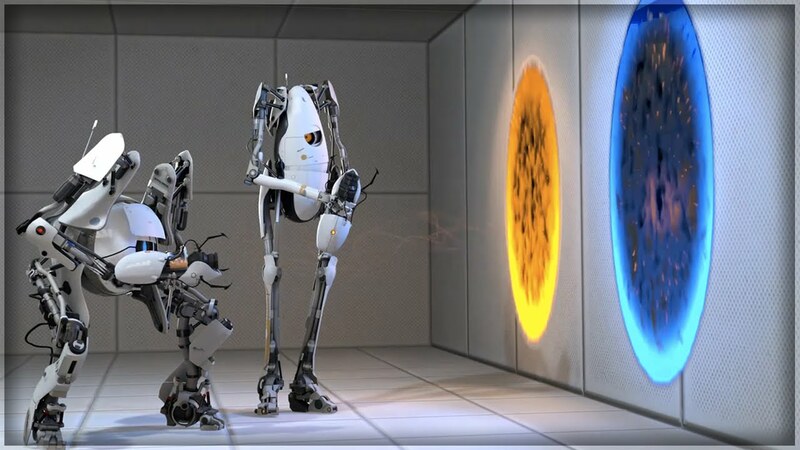 Portal 2 is developed by Valve. You can download Portal 2 for Mac on the Steam Store. When it first made an appearance way back in 2007, it dazzled gamers with its superb, but fiendish, puzzle mechanics. Portal 2 poses an even bigger challenge. You’ll return to the place you’ve once escaped from, the Aperture Science Labs. Yet again, you’ll find yourself in the same exact predicament – fending off the murderous GLaDOS. Game mechanics remain almost the same, with a few new exciting additions. The biggest new feature that makes the sequel intriguing is the added co-op mode. Required System Specifications – OS X 10.5.8. Intel 1.8 GHz processor. GPU with 128 MB VRAM. World of Goo is developed by Feral Interactive. You can download World of Goo for Mac on the official Mac App Store. World of Good is unique and charming. You need to combine tons of blobs of goo to reach various points across the map. Puzzles are solved by creating bridges, towers, and other structures. Required System Specifications – OS X 10.7. Intel i5 proc. 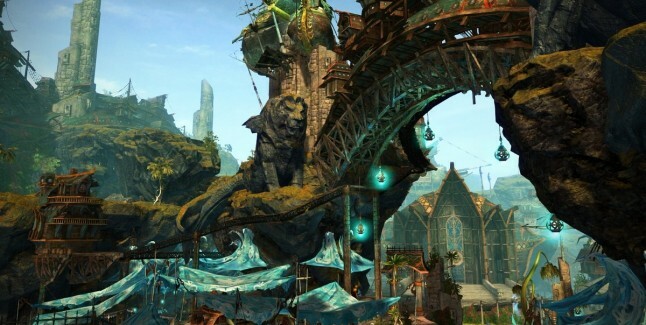 Guild Wars 2 belongs to NCSoft. You can download Guild Wars 2 for Mac on the official website. NCSoft just announced that Guild Wars 2 will be free to play with no micro-transactions. However, you’ll have to reach a certain level until you can chat with other players an join guilds – basically, level up so you can take advantage of what GW2 really has to offer. Guild Wars 2 is an MMORPG that delves into the same routine fantasy as WoW – a humongous world filled with a ton of quests, pvp, and complex events. There is also an expansion, Heart of Thorns, but you’ll have to pay for it. Note that there is no monthly subscription in place, and NCSoft assures gamers that there will never be one. Required System Specifications – OS X 10.9. Intel dual-core proc. Blizzard is the developer of Heroes of the Storm. You can download Heroes of the Storm for Mac from the official Battle.net website. Heroes of the Storm is free, but it comes with in-app purchases. These purchases are just cosmetic and they will not influence gameplay. You can purchase new champions and outfits. If it sticks only to pay-for-skins it gets a big thumbs up from me. Heroes of the Storm isn’t your basic MOBA game – multiplayer online battle arena. It takes everything good from League of Legends and DOTA 2 and blends both of them together. You can take control of iconic characters from Diablo, World of Warcraft and Starcraft, among other HotS newly-bred champions. Required System Specifications – 2GHz proc, 1 gig of RAM. DirectX 9.0 capable GPU. League of Legends is developed by Riot Games. You can download League of Legends for Mac on the official website. 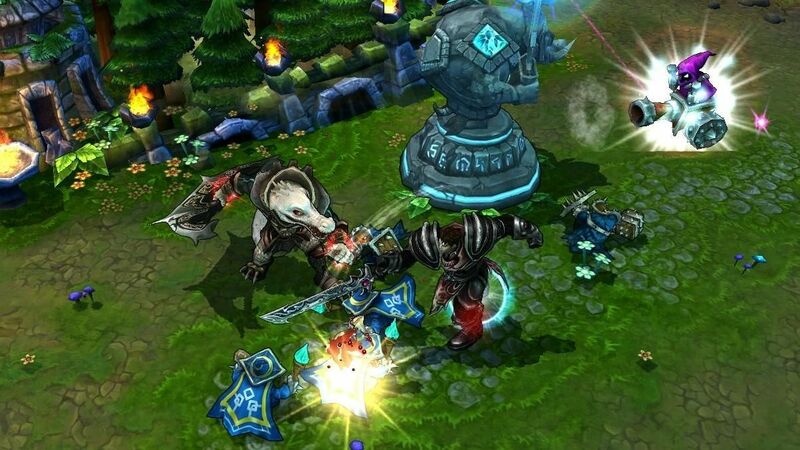 The worldwide sensation, League of Legends is the MOBA game that made the genre famous. Sure, it all started with the Warcraft 3 Ice Frog built mod, but LOL made MOBA special. Two teams, each comprised of five players, battle in a massive arena. With over 100 champions to choose from, and with a ton of customization options, LOL is a more than enjoyable experience. However, you should take heed and block the chat menu – there are a lot of flamers and ragers that will get on your nerve. As with HotS, you can pay for skins and other bonuses that won’t affect gameplay. Required System Specifications – OS X Lion 10.7. 4 gigs of RAM. DOTA 2 is developed by Valve. You can download DOTA 2 for Mac on the Steam Store. DOTA 2, the last MOBA on our list, is a lot tougher than LOL and HotS. I don’t recommend it to beginners, as it’s unforgiving – both the game and its community will chew you to pieces for the slightest mistake made. Yet, it’s a fantastic gaming experience if you stick to it. 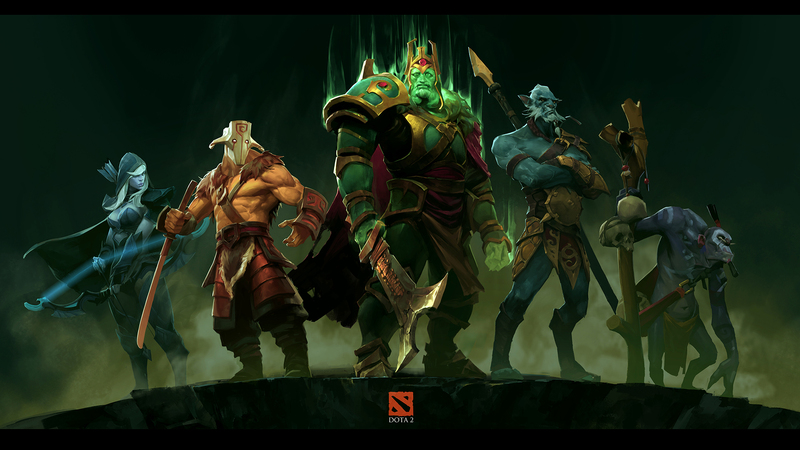 DOTA 2 is one of the best games for Mac you can ever play. Required System Specifications – OS X Lion 10.7. 2 GB of RAM. Intel Core2Duo. HearthStone: Heroes of Warcraft belongs to Blizzard. You can download HearthStone for Mac from the official Battle.net website. HearthStone: Heroes of Warcraft is a trading-card game. You can play one of the best online games for Mac also on PC, Android, and iOS. It’s a fantastic casual TGC that doesn’t require any knowledge beforehand. It’s easy to get into, and it gets quite addictive along the way, but it’s hard to master. The player is in charge of a deck of cards that consists of creatures and spells. You can choose from several classes that include Druids, Rogues, Priests, Warriors, and others.